Maundy Thursday when Christians remember the Last Supper of Jesus Christ. Maundy Thursday is also the day when Jesus was arrested in the Garden of Gethsemane, and put on trial through the night. 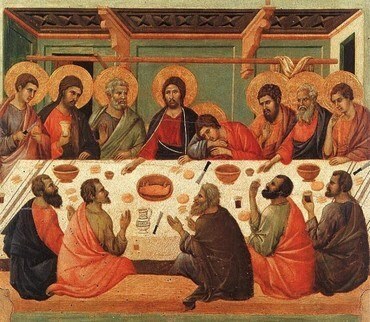 Why is it called Maundy Thursday? The word Maundy comes from mandatum, meaning 'mandate' or 'commandment'. Read more about Maundy Thursday and the royal traditions associated with the day.